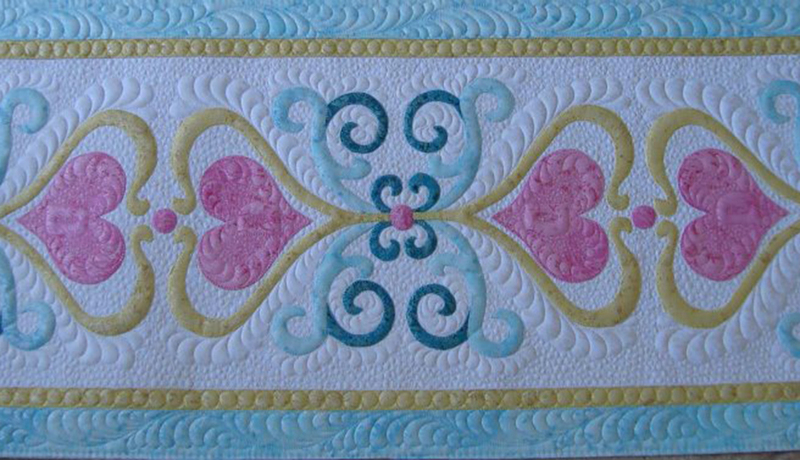 Linda M. Poole's Elegant Hearts pattern. Pamela Dransfeldt has turned a life-long enthusiasm for quilting into a successful home business. For years, Pamela worked within a local hospital business office, paying the bills, but not satisfying her true passion. Pamela, who started quilting in 1977, started entertaining thoughts of machine quilting in 1999 and purchased her first machine in January 2000. The non-stitch regulated Gammill Classic filled up what used to be her family’s living room and dining room. She started her business with a small, but loyal customer base while continuing to work part-time in the hospital billing office. Pamela continued along this path for seven years before retiring and focusing fully on machine quilting in 2007. Around the same time, Pamela upgraded her Gammill to a stitch regulated Purple Beauty. Business has continued to grow. Pamela maintains a busy schedule that keeps quilts lining her machine and equally providing the quality and time her customers deserve. Pamela regularly takes classes to continue learning and improve her quilting skills. 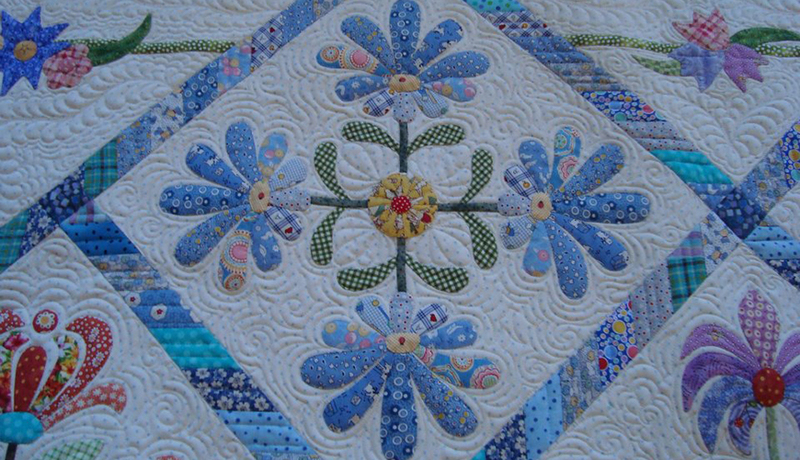 She can provide customers with all varieties of quilting ranging from edge to edge pantographs to custom work. Along with enhancing her customer’s quilts, Pamela makes quilts of her own in her spare time. 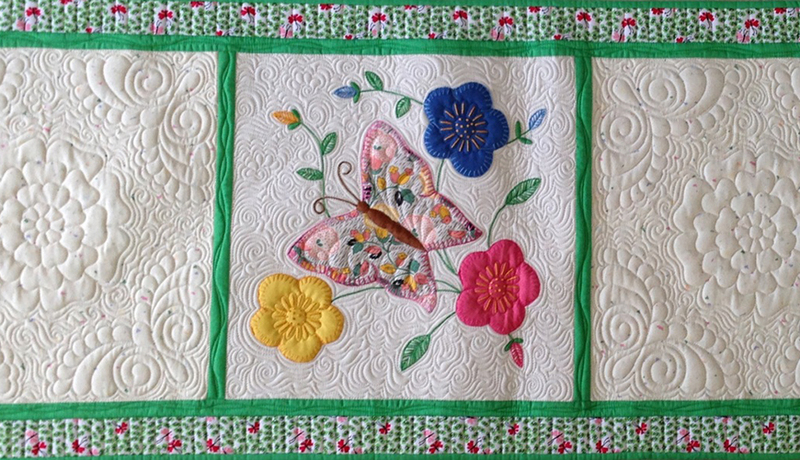 She collects vintage quilts online via the online marketplace, eBay. Pamela seeks out signature quilts or quilts with open spaces that she can fill in with her spare time – what little she can find. Thank you for visiting Pamela’s web site. 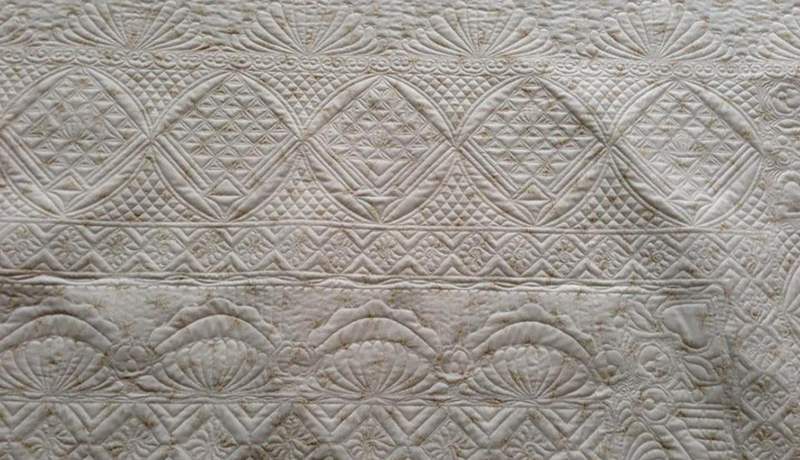 Since all quilts are unique and lovely in their own way, in order to provide you specific pricing I need to see and understand the type of quilting you want. Please contact Pamela for quilting availability. I love to see new designs, unique concepts, and special projects so please contact me to discuss your specific timeline and project. I always love to see new quilts and meet new quilters! Pricing starts at $0.02 cents per inch and up for edge to edge Pantograph Quilting and $0.04 per inch and up for Semi Custom and Custom. Pricing is based on the pattern and how involved it is to quilt your specific piece.